An oldie but a goodie. One of my most cherished albums made with the Wanderlust Collection. 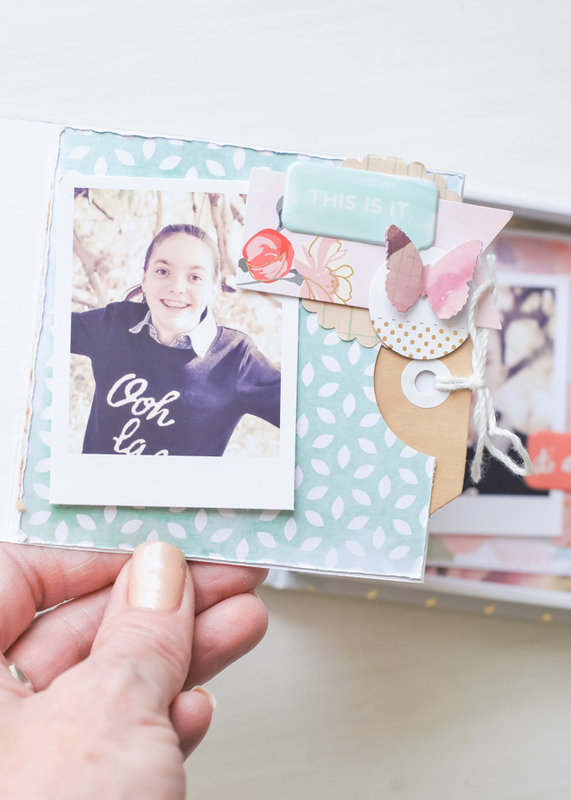 This week on my blog I am bringing back a few projects originally posted on Heidi Swapp's blog but lost when that blog crashed well over a year ago. It's part of my mini Minc series. 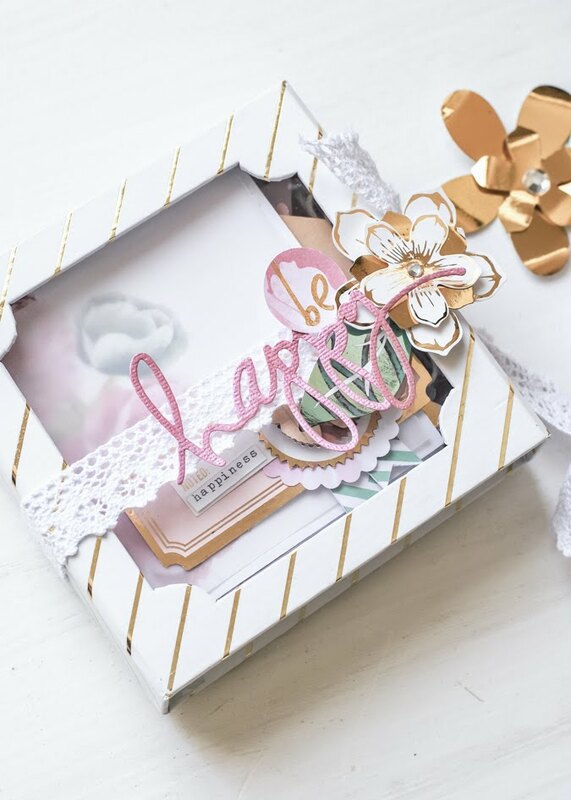 These projects are cherished albums and gifts made from the heart, as well as made with the Minc Machine and Reactive Foils. Wanderlust is a collection from Heidi Swapp that made it's debut last spring. 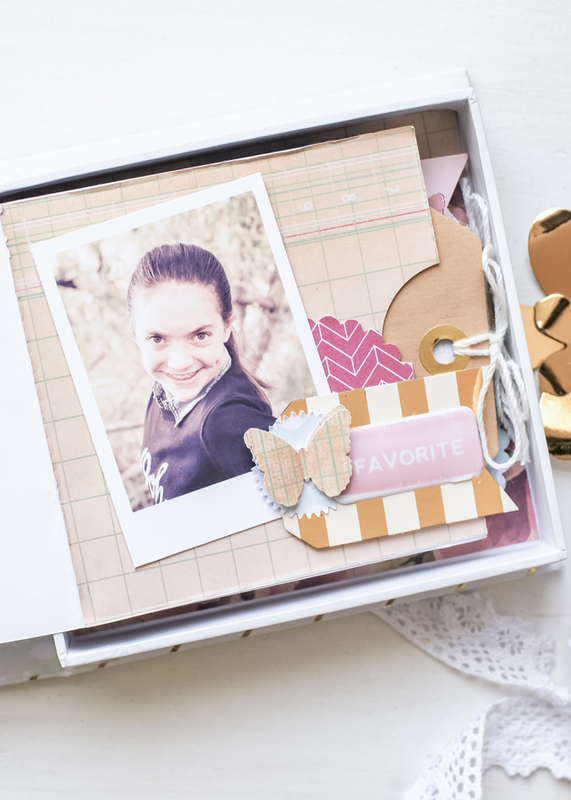 At the time this Keepsake Box was one I had made using that collection as well as Minc items to add some gold foil glam. It's one of my very fav pieces created from that collection. Who am I kidding...I pretty much love all my paper creations from Wanderlust. It's a most beautiful set of paper and embellishments. Shown here also includes Minc Dimensional Flowers foiled in gold. 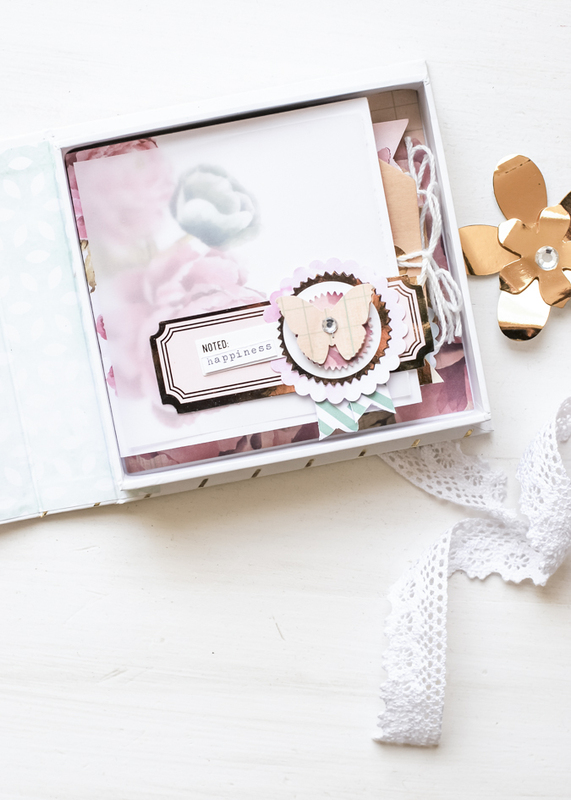 The boxed keepsake album includes a window peeking in. There inside is found a paper accordion mini album, the blank pages ready for photos, pattern paper, and plenty of Minc touches. Here on the front cover Minc pieces include a few of the Labels foiled in gold. I created pockets among the pages. These serve as hidden spaces for tags that hold my thoughts and words. Interactive is one of my favorite techniques on a mini album. Minc piece found here is from the Tags Collection. This little book is a great capture of my then 13 year old daughter. It's just one of those albums I will cherish for pretty much ever. You can see I sneaked a polka dot Minc Label among the layers. Just can't help myself. I posted this today simply as an inspiration piece. 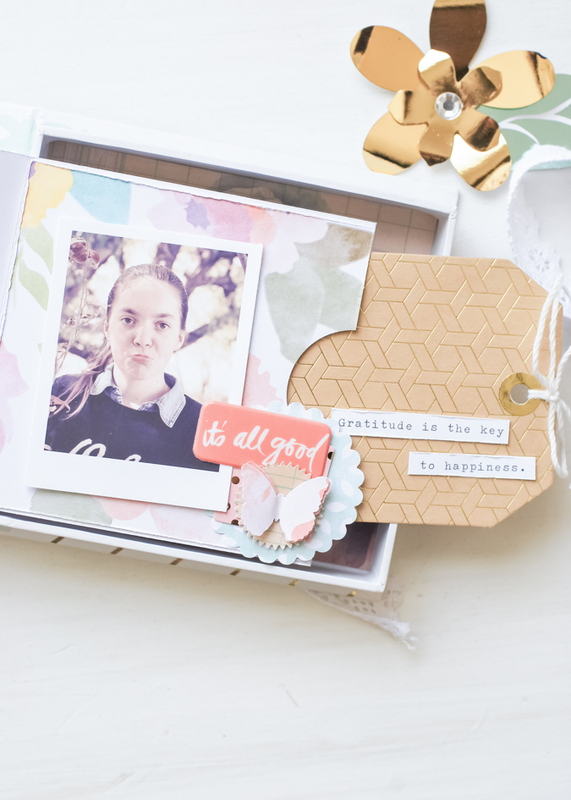 Wanderlust is still available online and can be found at JoAnn Stores as well as Scrapbook.com. The pieces utterly flow together and easily find their place on a project created from the heart. This is a personal blog. All editorial content and projects are intellectual property of jamiepate.com I do receive financial compensation and material product to develop my craft posts, but all ideas and opinions are my own. They really are. 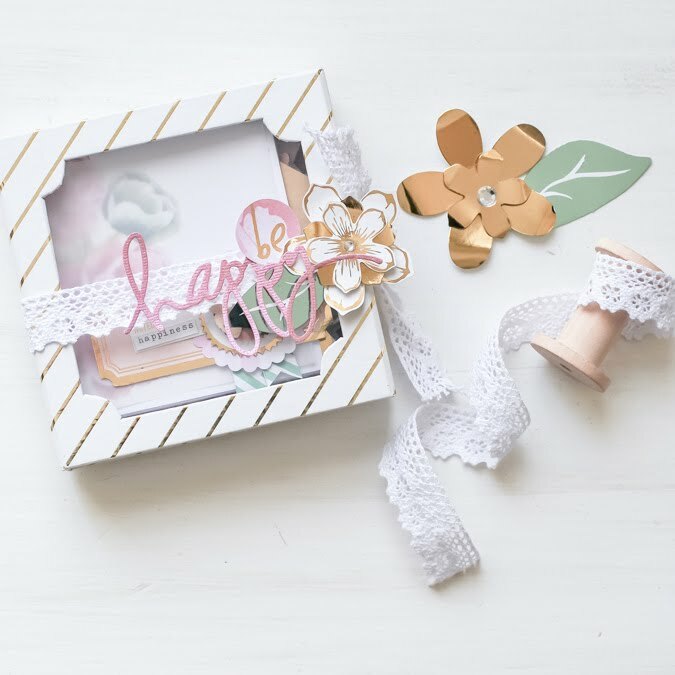 supplies: Heidi Swapp Wanderlust Collection. Minc + Minc Embellishments.